But isn’t March 1 a tad early for wildfire season? While, true, a March 1 start is earlier than normal (the start of wildfire season in such places as Alberta has traditionally been April 1), it is not that far off the mark, particularly if a given winter has been warmer and drier than normal, as was the winter of 2015/2016. One of the challenges of working in the disaster risk reduction field is fighting to overcome the myriad myths and misinformation that drive peoples’ actions (or, more accurately, inactions) when it comes to protecting themselves and their properties against severe weather and earthquakes. One such myth is that Canada only experiences wildfires in the dog days of summer, after prolonged hot, dry spells. The reality is that much of Canada (for the most part, those areas close to or in the boreal forest) experiences two distinct wildfire seasons. The first generally occurs in early spring after the snows but before the forest greens up and sequesters more moisture. 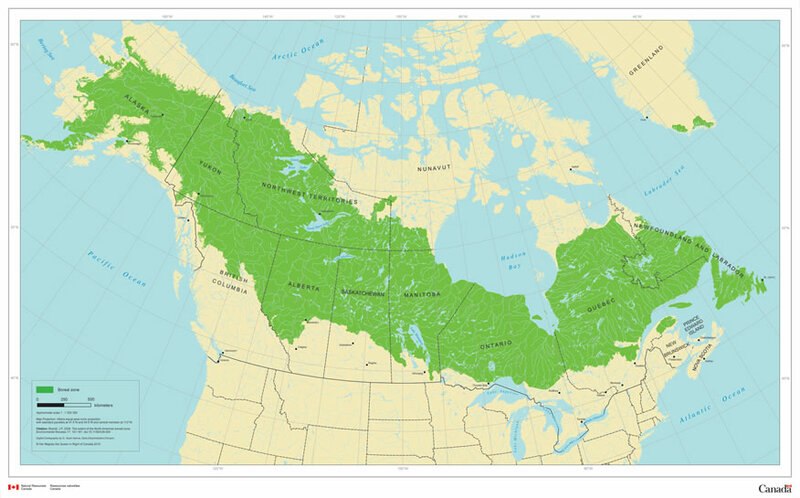 While the boreal is largely a conifer forest where the trees have needles as opposed to leaves, it does contain some deciduous (i.e. leafed) trees, grasses and other vegetation mixed in the forest understory. When green, this vegetation holds a lot of moisture and makes early-season fire – particularly intense ground or crown fire – more difficult to start and propagate. Both the Slave Lake wildfire (May 14 start) and the Fort McMurray wildfire (May 1 start) occurred during this time. It was rumoured that there was still snow on the ground in the Slave Lake area about a week before the 2011 fire. The second season arrives during the typical time that most people consider to be ‘wildfire season’; during the hot, dry days of summer/early autumn when forests can be tinder dry after prolonged periods with little or no precipitation. The 2003 Okanagan Mountain Park Fire in Kelowna, B.C. took place during such a time, in mid-August of one of the most catastrophic fire seasons in provincial history. Over the course of that exceptionally hot and dry summer, nearly 2,500 wildfires were recorded (with 218 starts on one day alone) and more than 265,000 hectares burned. It’s a surprise to many when they learn that parts of Canada are subject to two distinct wildfire seasons, and that intense crown fires of the kind seen in Slave Lake and Fort McMurray can rage so early in the year and so far north. But when conditions are right (or wrong, as it where), all you need for a large, aggressive and damaging wildfire is low relative humidity, a source of ignition and the right fuel. High temperatures and brisk winds will add to the risk, but aren’t obligatory ingredients. So, while a March 1 start to wildfire season is earlier than past years, it is not wildly early given the risk environment.